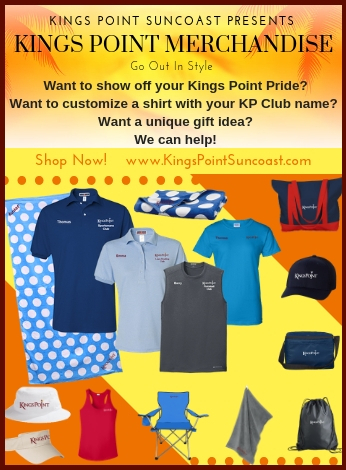 Dining is a social affair anywhere you choose to eat in Kings Point Suncoast. 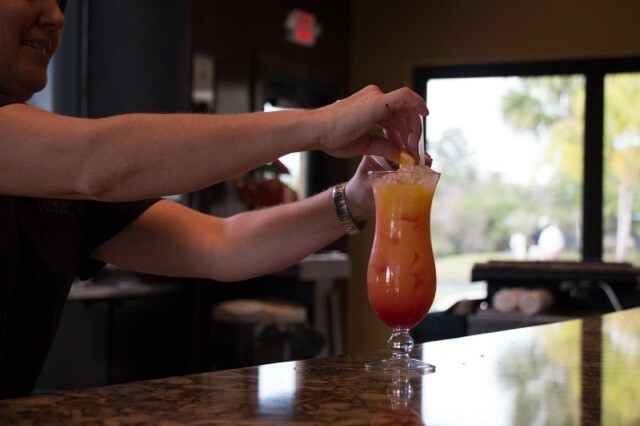 The Palm Court Restaurantand Bar at the Kings Point South Club offers the widest selection in retirement living dining choices in Kings Point. The dining menu boasts flat bread pizzas, wings, seafood, burgers and a variety of sandwiches and wraps. Complement your meal with a wide variety of beers, cocktails and wines from our full-service bar, choose your table in the dining area, the indoor lounge or enjoy the fresh air and beautiful view of nature from the outdoor patio. The Loft Lounge is a multipurpose space with beautiful views of the golf course, natural area and sunsets behind the South Club and can be reserved for special dinners and private parties. On select evenings every month, the Loft Lounge turns into a penthouse dining room featuring a 3-course menu with fresh seasonal ingredients and paired wine selections. Le Perk Café in the Main Clubhouse is a great place to go for breakfast or lunch. Bagels, muffins and pastries are a delicious complement to your morning coffee. Savory soups, fresh salads, sandwiches and wraps are on the dining menu for lunch or an afternoon snack. Café Refresh located in the 2020 Centre, is the newest addition to the dining experience in Kings Point Suncoast. The café serves coffee, water and “Naked Juice” to go along with your morning workout. Fuel up on our “Design Your Own” salads with dozens of fresh ingredients sure to give you the fuel you need after a vigorous workout. 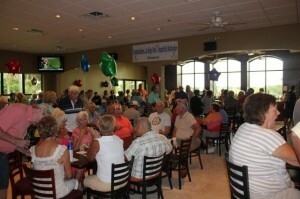 Cyber Café is located in the heart of the community next to Kings Point Suncoast’s only driving range. The Cyber Café is an ideal space to unwind and connect. Enjoy a cup of coffee and a freshly made breakfast while surfing the web using high speed internet. You can check your email at any one of our 18 computer stations or with your own device in our café using free WIFI. Many of our monthly events in the Main Club and South Club include full-service dining options by our Kings Point Chefs, as well as local caterers. Whether it’s a Kings Point dinner, a club-sponsored event, or just you and your friends dining out, our retirement living dining choices offer convenience and variety for your dining pleasure.